Who doesn’t need to buy groceries? No one. With e-commerce sites like RedMart and honestbee, it’s clear that e-commerce is thriving in more than just gadgets and fashion. However, not all of them are about consumerism. One team is seeking to change the game from a social enterprise angle. Founded in 2016 by Jackie Ho, Barry Han and Xu AJ, Bompipi is an e-commerce startup where part of their profits are funnelled towards charity. Previously, e27 reported that the team planned to onboard 16,000 products, but according to Barry, the team has far exceeded that target with a stunning 52,000 products and counting. Their product variety is vast as well, ranging from home appliances to pet food. Another thing to look out for are cooked meals for the health conscious, pre-marinated BBQ products, and gourmet products. The team also makes sure to stock up with trending products like Korean sweet pancakes. You can also check out their product updates on their Facebook page. Bompipi uses a Referral Rewards Programme to thank shoppers who refer new customers. These come as rebate points that can be used as discounts on subsequent purchases. These rewards automatically kick in when users make a purchase. The social enterprise aspect of Bompipi stems from the personal experiences of co-founders Barry and Jackie. As for Barry, his situation was slightly better, though not by much. His family had been involved in “a bitter family feud left them cut out of the inheritance”. 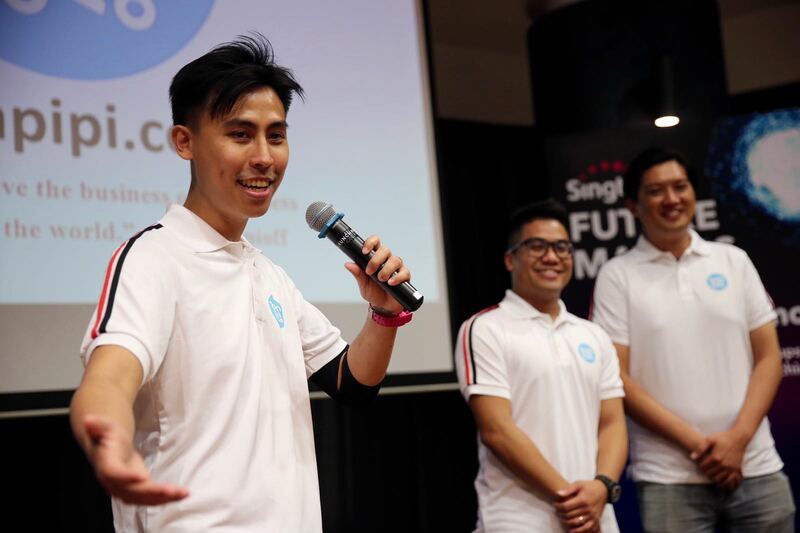 When the pair met AJ later on, now Bompipi’s CTO, his engineering and experience in the social enterprise space was exactly what they needed to launch Bompipi. 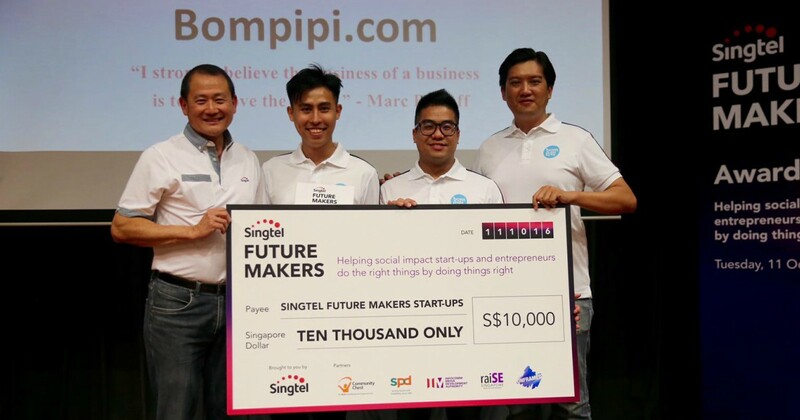 As a finalist team of the inaugural Singtel Future Makers competition, the team was awarded S$10,000 and 6 months of membership to grow Bompipi. And as of March 22, the team graduated from the programme, with Jackie also being selected for the “Top Social Entrepreneur Award” by the other startups. At the moment, the team is working with Wishing Well, raiSE and others to develop a transparent system, as well as allow shoppers to select the charities they want to donate to. Their altruistic goals do not stop there either. Barry adds that they are working to allow other social enterprises like Irisada, which sells products for people with special needs, to lease online space for their own products. 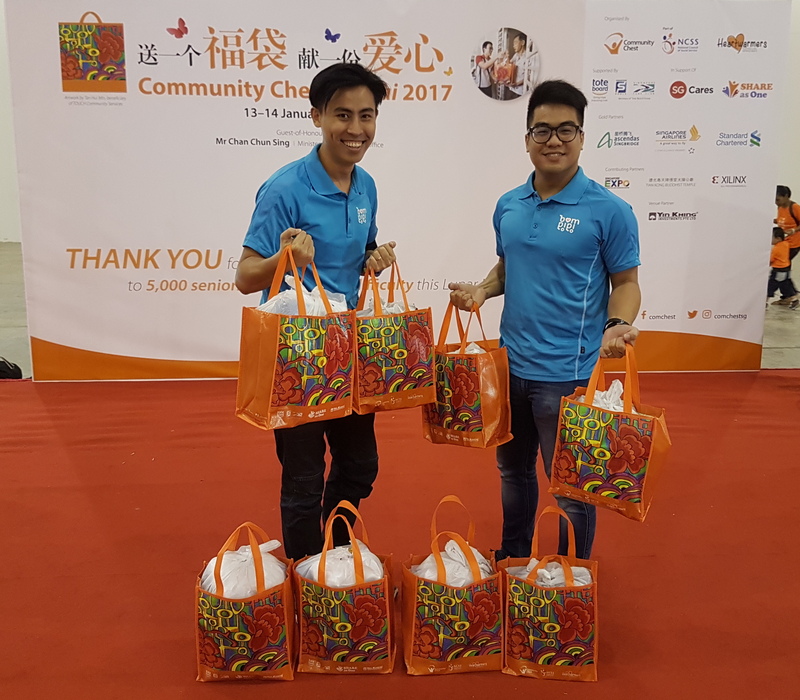 Meanwhile, the team continues to participate in events like CNY “Fu Dai 福袋” and the Food-for-Families, where they packed and delivered hampers to over 5,000 families. On future plans, Barry shares with me that the team is working on a more ambitious initiative. The team is working together with raiSE to subsidise and deliver tingkat meals of a nutritional, balanced diet to families. The meals would be valued at $2-$3 for those who can’t afford meals. “We want to ensure that poverty and difficult circumstances do not deprive them access to affordable, nutritious meals to nourish their bodies and minds,” he explains. Bompipi is in essence, an e-commerce site, albeit with a social enterprise twist. But altruism aside, there are plenty of larger e-commerce players in town. On this topic, Barry shares that they do not view RedMart or Amazon as competitors, but partners. By leveraging on their platforms, Bompipi can reach a larger market while also helping them fulfil their corporate social responsibility. In fact, the team is already in the midst of discussion to bring RedMart onboard. “Our ultimate goal was never to be a commercial giant,” Barry explains. Other commercial giants’ strengths are in e-commerce, but they have the upper hand on the social angle, which is also their primary focus and motivating drive. 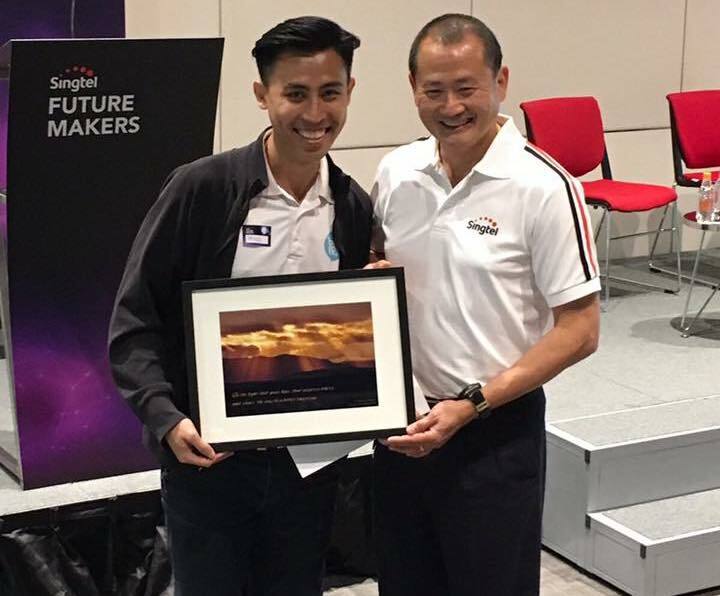 “When we can help 25% of Singapore’s underprivileged* community— I think we would consider ourselves successful,” Barry reflects. To follow more of the Bompipi story, you can check out their Facebook page here and start shopping here.